#ComeRideWithMe Is Singapore's "Uber For Volunteers"
LTA Hackathon Winner #ComeRideWithMe Is Singapore's "Uber For Volunteers"
The transport system is a big part of our lives here in Singapore. 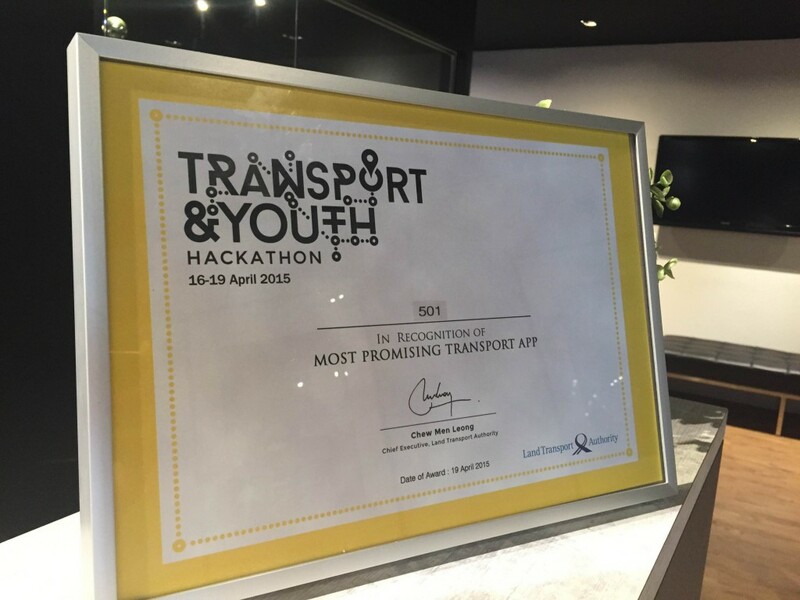 That’s why the Land Transport Authority Singapore (LTA) held the Transport and Youth Hackathon: to get insights from the youth in Singapore on ways that they can tackle existing tranusport problems. By tackling three main issues — Public Transport, Mobility, and Special Needs — 30 teams competed for the title of Most Promising Transport App. The winner of that title was the team behind #ComeRideWithMe, an app that tackles the need for people with special needs to be able to get around safely and easily. But instead of taking the usual approach of suggesting improvements in infrastructure, #ComeRideWithMe takes the human approach, and aims to connect people with special needs with people who are willing to help. 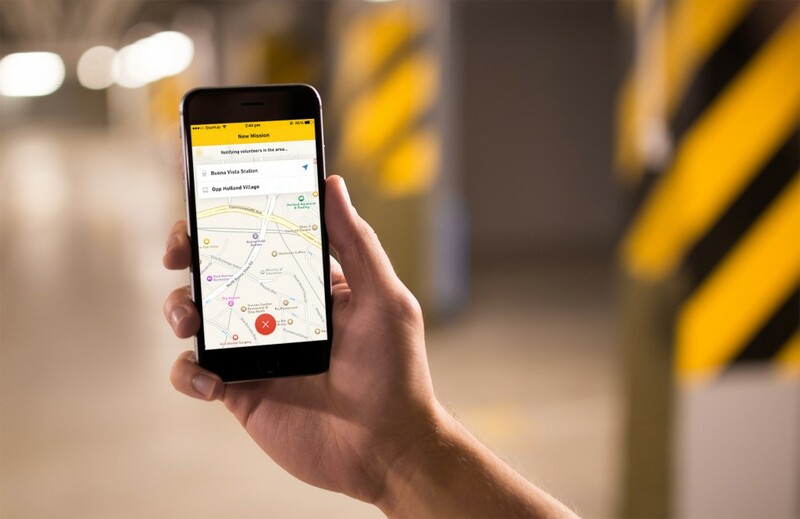 According to Thomas Dohm, co-founder of the #ComeRideWithMe app, they decided on this alternative approach because they saw that the problem that needed to be tackled wasn’t public transport, but the journey to and from bus stops and MRT stations. This issue is also called the “Last Mile Problem”, the last leg of the journey that a person needs to take from a transportation hub. This part of the journey is usually the least efficient, and for people with special needs, the most difficult. “Most of the target users we talked to highlighted that the real challenge for them were the Last Mile portions that are not covered by public transport directly: making their way to the MRT or bus stop, changing between trains, making their way home”, said Dohm. The app works like an “Uber for volunteers”: people with special needs will be able to whip out their devices, log in their details or location, and the app will — via the system — locate volunteers that are nearby to come and help them back to their homes. This will ensure the safety of people with special needs, by employing the “human connection” to help them home. The app could also revive the “Kampong Spirit”, encouraging Singaporeans to be more involved in helping others in their community while they’re commuting or just hanging out in the vicinity. “By inviting the other party to #ComeRideWithMe, technology is used to leverage on human connection to make rides smoother and safer”, said Verdy Yong, one of the creators of the app. An app relying on the power of “human connection” is definitely going to have a few kinks — many of which the team has tried to address. Firstly, the issue of security is dealt with by having a strict volunteer registration service: interested volunteers sign up through SMS and submit photos of themselves, so that the person with special needs would know who to get in touch with, and who has volunteered through the app. 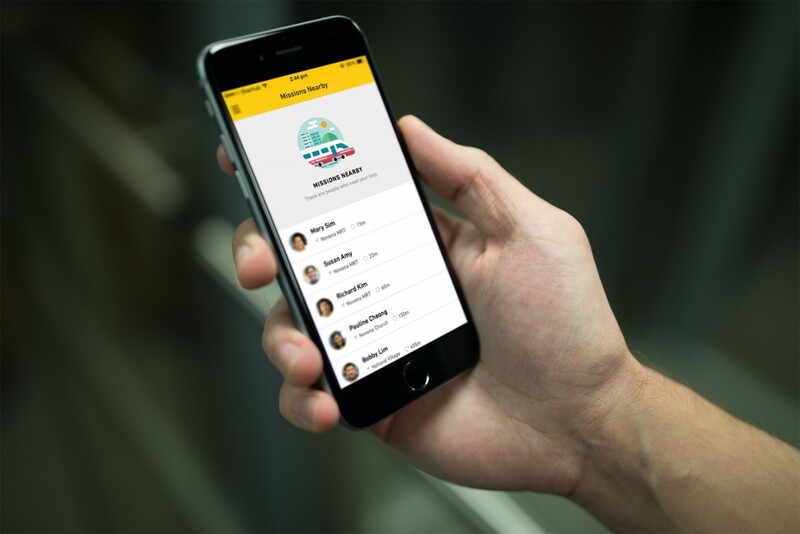 Currently, the developers are also working with SGCares, a volunteer base with upwards of 4,000 volunteers who are ready to get on the app to help out. Each act of kindness is called a “mission”, and the app has a dashboard for volunteers, which logs the time spent on each “mission”. This gamifies the experience, and allows the time spent to count towards community service hours, which — other than the joy derived from helping others — is an attempt at incentivising volunteerism. According to a press release, the team is planning to move into community testing by working with associations for the handicapped and tapping on the Community Involvement Programme of the Ministry of Education. The team is also exploring opportunities to work with companies on Corporate Social Responsibility to bring up their volunteer base. 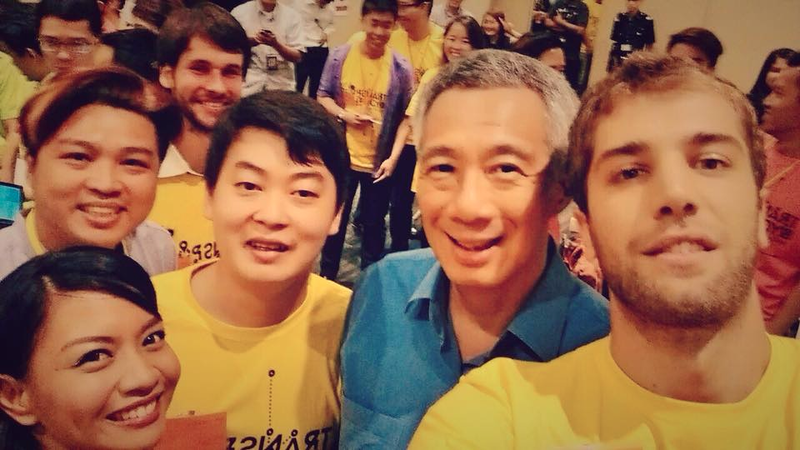 Dohm shares that they will also be at InnovFest Unbound 2015 — where they will be sharing their app with attendees.